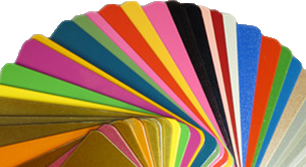 Many powder coated products are exposed to the elements, and over time it may begin to show, for example chalking,loss of gloss and sometimes a slight color change. In conjunction with a regular maintenance program your powder coating will have a long life expectancy and will stay in good condition for many years. Just as washing your car is important for removing dirt and grime, your powder coating needs to be given a regular wash to keep it looking good. For outdoor products such as architectural coatings or furniture will need cleaning from time to time.the environment the product or building is in is a key factor in the frequency of cleaning required. In many environments high corrosivity levels, such as industrial or marine, normal cleaning frequency should be at a minimum of six monthly intervals.Where the atmosphere is deemed to be non-hazardous, e.g. rural or ‘normal’ urban environments, then the period between cleaning can be extended up to a maximum of 24 months depending. In order to really protect your products, it is suggested that cleaning is started at the time the products are installed, ensuring that construction materials such as concrete, plaster and paint splashes are removed before they have a chance to dry. If these materials aren’t removed at this early stage, it is almost guaranteed that aggressive cleaning materials and techniques will be used to remove them, and that can cause potential damage to the powder coated surface. Remove loose deposits with a wet sponge rather than risk micro scratching the surface by dusting. Using a soft brush and mild detergent in warm water clean the powder coating to remove any dust, salt or other deposits. Always rinse after cleaning to remove any remaining detergent.